Apple updated MacBook Pro with faster performance and new pro features, making it the most advanced Mac notebook ever. The new MacBook Pro models with Touch Bar feature 8th-generation Intel Core processors, with 6-core on the 15-inch model for up to 70 percent faster performance and quad-core on the 13-inch model for up to two times faster performance — ideal for manipulating large data sets, performing complex simulations, creating multi-track audio projects, or doing advanced image processing or film editing. Already the most popular notebook for developers around the world, the new MacBook Pro can compile code faster and run multiple virtual machines and test environments easier than before. Additional updates include support for up to 32GB of memory, a True Tone display and an improved third-generation keyboard for quieter typing. 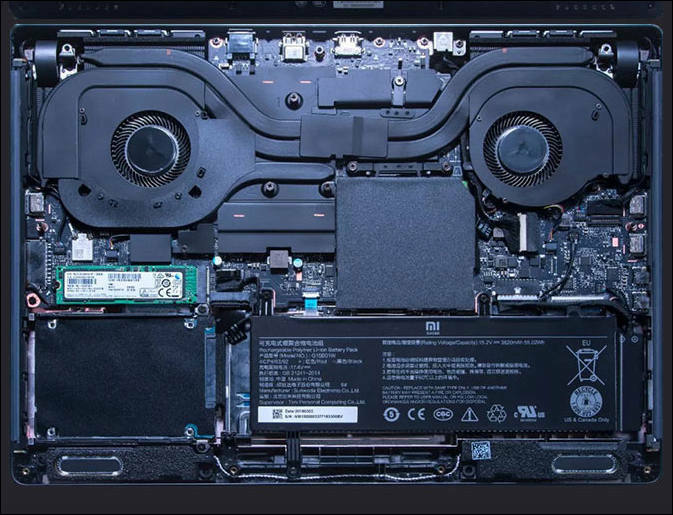 And with its powerful Radeon Pro graphics, large Force Touch trackpad, revolutionary Touch Bar and Touch ID, dynamic stereo speakers, quiet Apple-designed cooling system, and Thunderbolt 3 for data transfer, charging and connecting up to two 5K displays or four external GPUs, it’s the ultimate pro notebook. The new MacBook Pro is now faster and more powerful, with 8th-generation 6-core Intel Core processors on the 15-inch MacBook Pro for up to 70 percent faster performance and 8th-generation quad-core Intel Core processors on the 13-inch model for performance that’s up to twice as fast. * With the option to add up to 32GB of memory on the 15-inch MacBook Pro, users can run more apps simultaneously or load larger files into memory. 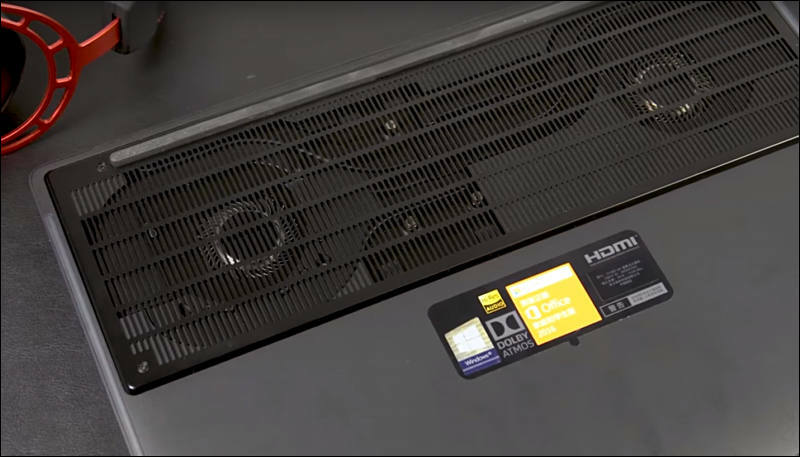 And with up to a 2TB SSD on the 13-inch model and up to a 4TB SSD on the 15-inch, MacBook Pro gives customers the flexibility to work with large asset libraries and projects wherever they go. With 500 nits of brightness and support for the P3 wide colour gamut, the Retina display on MacBook Pro is the best Mac notebook display ever. Now with True Tone technology, the display and Touch Bar deliver a more natural viewing experience for design and editing workflows, as well as everyday tasks like browsing the web and writing email. This fall, MacBook Pro can be updated with macOS Mojave, the latest version of the world’s most advanced desktop operating system, with new features inspired by pros but designed for everyone. In macOS Mojave, a new Dark Mode transforms the desktop with a dramatic new look that puts the focus on user content. The new Stacks feature organises messy desktops by automatically stacking files into neat groups. Familiar iOS apps, including News, Stocks, Voice Memos and Home, are now available on the Mac for the first time. FaceTime now adds support for group calling, and the Mac App Store gets a full redesign featuring rich editorial content and the addition of apps from top developers, including Microsoft and Adobe. Starting at £1,749 and £2,349 respectively, the updated 13-inch MacBook Pro models with Touch Bar and 15-inch MacBook Pro models with Touch Bar are available today through Apple.com and in select Apple retail stores and Apple Authorised Resellers later this week. Additional technical specifications, configure-to-order options and accessories are available online at www.apple.com/mac. It's pretty common these days with small/light 15" notebooks, unfortunately. I got a Dell XPS 9570 with an i9 and when under any sort of sustained load, the CPU throttles heavily. A bunch of people online said that they replaced the stock paste with better paste and it made a big difference (I'll be doing the same, myself). It will be interesting to see if people have similar success with the Macbook. Seems like thermal throttle will end as class action lawsuit. As issue is with big engineering error by Apple with their VRM design, not just CPU cooling. So the moral of the story for now, is that if I want to replace my '14 Macbook Pro, go with I7, correct? Or buy good i9 or i7 and much cheaper Windows note, And if you so like, make Hackintosh. That's a lot of words to say "we turned up the speed on the fans." WTF? Really, thats the most stupid thing I have ever heard. What is a "digital key" within a firmware? That doesn't make any sense. Next up, you have to buy extra "digital keys" to "unlock" the full power of your computer or the runtime of your battery... (long life the uneducated mass). Here it is just PR stunt, but camera companies are for long in this "business". Actual thing can be that VRMs and cooling can't keep up with load is distributed on CPU and GPU. Also I think that Apple also did is... add some undervolting. Can be part of patch. I can't remember which youtuber it was, but one of them used a utility to spin up the fans to 100% and tested before the patch. They saw a pretty large increase in performance in FCP and Resolve. I'm sure the VRM throttling is real, but if the fans are only running at 60% while the system is under full load, that doesn't make a lot of sense either. Ah, it was iPhoneDo. He published a new video with the results post-update. It looks like in his case, the update makes a big difference for the export that he did (23:42 down to about 18:38). With the fans maxed, it goes down from 15 minutes to 14:30. 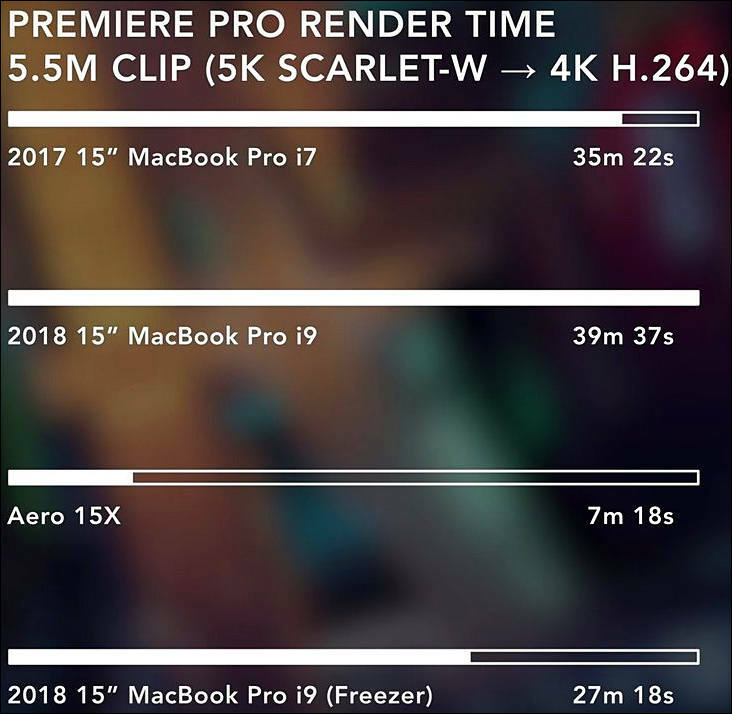 It's not to say that the VRM isn't also throttling and preventing the maximum theoretical performance of the CPU, but if Apple is willing to be more aggressive with their fans, the new Macbook will actually be a nice performance increase over the old one. Proper thing in this "fix" test was to measure actual temperatures of components. As this "fix" can actually turn to be opposite for VRMs, CPU and GPU. Max just posted up a head to head with the 2018 MBP i7 and i9 and... Things don't look so good for people who forked out extra money for the i9. Seems like a waste in that thin overheaty shell that cannot cool or power it to it's actual potential. They'll present i9 update this week. And it'll be much more powerful and cheaper. Another issue started to sound more loud - laptop’s backlights are failing, causing the lighting at the bottom of the screen to appear spotted and uneven and later fail completely. There are also multiple people who claim to have started threads on Apple’s support site only to have them deleted. Shen took his MacBook Pro to the Genius Bar at an Apple Store in Canada and was provided with an over $600 repair quote for his 2018 15-inch MacBook Pro. The price is so high because Apple replaces the entire top case assembly containing the speakers, keyboard, trackpad, and battery.